It’s hard to imagine that the Carignan grape used to play such a big role in France’s wine history, yet most wine drinkers have never heard of Carignan. Today, this red wine grape is mostly used as a blending wine, known for its rich dark color. You’ll find my Top 10 Carignan reviews and ratings here. 1. In France, Carignan was the most planted grape variety from the 1960s to 2000. In fact, in the late 90s there were more than 150,000 acres of Carignan vines planted in France. 2. Why so popular? Two words: large yields. The Carignan vine is quite productive, and it can produce as much as 200 hectoliters of grapes per hectare, more than four times as much as Cabernet Sauvignon. 3. Carignan is also widely planted in Spain: the country with the second highest production in the world, though its numbers are declining there as well, taking a back seat to Tempranillo, Rioja and Cabernet Sauvignon. Carignan is emerging and growing in southern Chile. That country’s hot, dry region of the Maule Valley is proving to be an exciting success story for both Carignan and the Chilean wine revolution. Chile has been growing Carignan for over 70 years, but until recently was known as a work horse grape, not for fine wine. 4. Ampelographers, those who study vine leaves, believe Carignan originated in Carinena, Aragon, a province in Spain and then was later transplanted to Sardinia, Italy. Carignan is also known as Carignane in California, and in other wine regions, Carignan also goes by the name Mazuelo, Carinena and Bovale Grande. 5. Carignan is not the easiest grape to grow. It ripens late in the season that it can only be grown in warmer regions, which is why it’s usually grown in the south of France or Spain. Carignan is also susceptible to many vine diseases including rot, powdery mildew and grape worms. Carignan can also be high in tannins and acidity, which makes it a great blending grape for wines that lack body and color. Carignan aromas include licorice, chocolate and spice. On the palate, Carignan offers flavors of plums, black fruit, smoke and earthy, spicy notes. Carignan’s high acidity enables it to pair well with red meats. 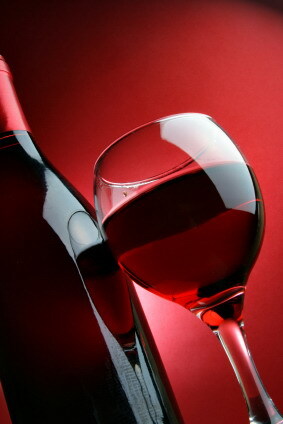 Also pair Carignan with meatballs, spicy meats, eggplant lasagna, tomato based dishes and Mediterranean dishes. When you join our wine community as a Paid Member, you’ll get access to all of my Carignan wine reviews, which are updated weekly.